Now you can ORDER YOUR SUPPLEMENTS DIRECTLY from Metagenics straight to your door. Click here to purchase and you will get FREE SHIPPING! 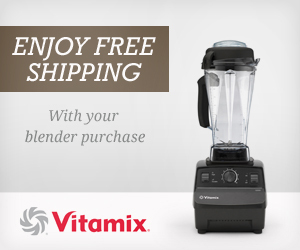 The Vitamix will arrive at your door before you know it – without you getting into your car and shopping. It doesn’t much easier than that!